Using our bond calculator and home loan affordability calculation tools will help you to determine roughly what you can afford to spend on monthly bon repayments, as well well as the size bond you could qualify for. Buying a home can be an exciting and scary experience. There are so many variables that go into deciding where you want to live. Do you want to be in a big city like Johannesburg or Cape Town, or do you want to live out in the country away from the hustle and bustle of big city life. But where you live and what kind of home you want to buy are not the only decisions you have to make. Buying a home requires applying for a mortgage and you want to be sure you know what you're getting into. Before you even think about showing up at the bank, you want to be armed with as much information as possible, and the most important information you need is how much you expect to need to borrow and what terms you can afford to pay it back. This is where a bond calculator comes into play. This tool helps you take into account the various elements of a home loan and lets you know how much you will have to pay for your dream home. What a bond calculator does is input your various terms into a function and spits out your payment expectation. It can tell you how much you can save if you pay more each month, or how much more you can pay in the long run if smaller monthly payments are more important to you. The calculator can tell you how much you have to make in a year to be qualified for a loan to buy the house you have your sights on. This can give you realistic expectations. You may want that big house in the villa, but you may have to look at a small townhouse near the city to start off with. The importance of using a bond calculator is that you do not want to go into the loan office at your local bank with an unrealistic expectation of what you can get. It can mean the difference in whether you get approved or rejected. And, if you go into the meeting with the loan officer with some knowledge under your belt, you may have a better chance of getting approved. A large part of a loan officer's decision is based on the confidence he or she has in the person applying for the loan. If you look like you have everything under control, you have a much better chance of walking out the door with the promissory note in your hand. And once you secure the loan to buy the home you have settled on, the bond calculator can be used to help you determine how much of your payments are going to the principle of the loan and how much is going to pay interest. It can help you decide if and how much extra you might want to pay each month to pay the principle off sooner. 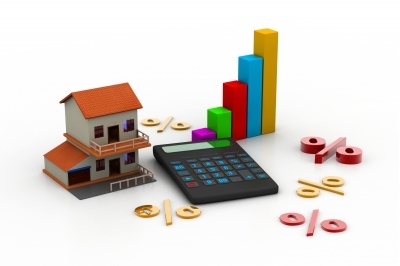 The bond calculator is a valuable tool to anyone looking to get into a mortgage. Find one on the Internet at many online real estate sites. Or just talk to your local agent. They are usually friendly and willing to help. Use a bond calculator before applying for that loan. You will be glad that you did.